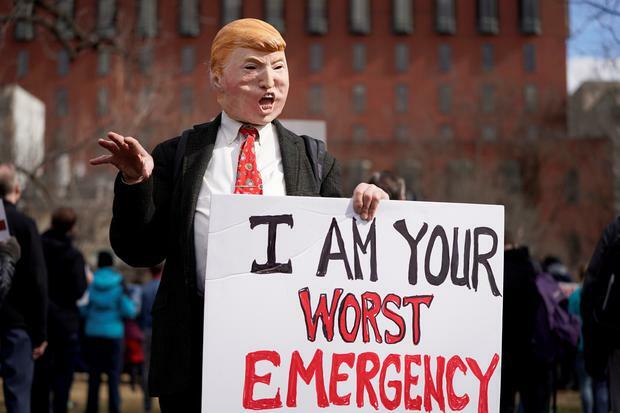 Activists in Washington, Chicago and dozens of other US cities protested on Monday’s Presidents Day holiday against President Donald Trump’s declaration of a national emergency to secure funding for a US-Mexico border wall. 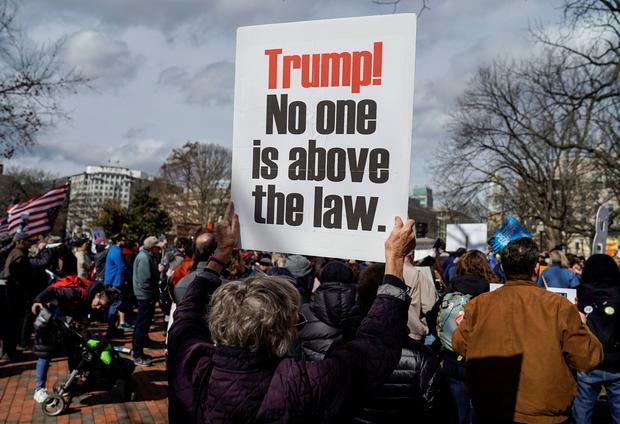 Calling Trump’s declaration an abuse of power and usurpation of Congress, organizers with the nonprofit advocacy group MoveOn.org and other participants said it was important to let the outrage over the move be heard. “We disagree with the state of emergency declared by the president and stand with our immigrant colleagues and friends,” said Darcy Regan, executive director of Indivisible Chicago, which co-hosted the protest there. Trump invoked the emergency powers on Friday after Congress declined to fulfill his request for $5.7 billion to help build the wall that was his signature 2016 campaign promise. His move aims to let him spend money appropriated by Congress for other purposes. The Republican president says a wall is needed to curb illegal immigrants and illicit drugs coming across the border. Democrats and opponents of the wall say it is unnecessary. The protests in Chicago and Washington each drew a few hundred people on Monday afternoon. Cheryl Krugel-Lee, a 32-year-old student, said she brought her 4-year-old daughter to the protest in freezing weather to set an example for her. “This was a power grab by the Trump administration, and it’s immoral and illegal,” Krugel-Lee said. Organizers said 250 events were planned, including in New York, Los Angeles and San Francisco. 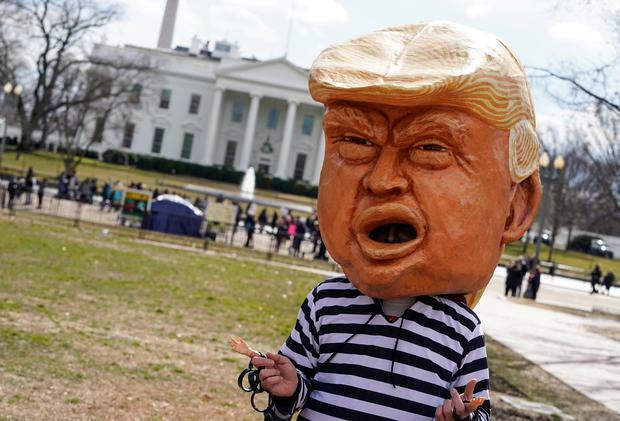 Democrats have vowed to challenge the national emergency declaration as a violation of the U.S. Constitution. California state Attorney General Xavier Becerra said in television interviews that his state and others would sue the Trump administration on Monday.